We aim to instill an appreciation for Lancaster County's historic architecture and landscapes. Education is the common thread that runs through our programs. 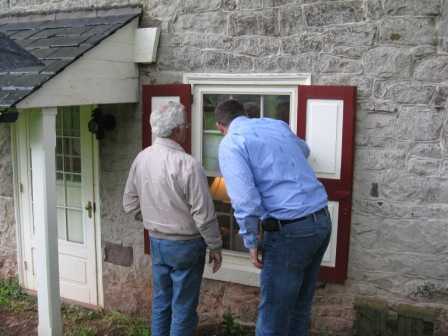 Surveys of historic properties countywide, conducted by the Preservation Trust in cooperation with municipal and county officials, are the basis for our extensive archives on historic properties. These records — thumbnail sketches on more than 10,000 properties in Lancaster County — are available for research in our library. 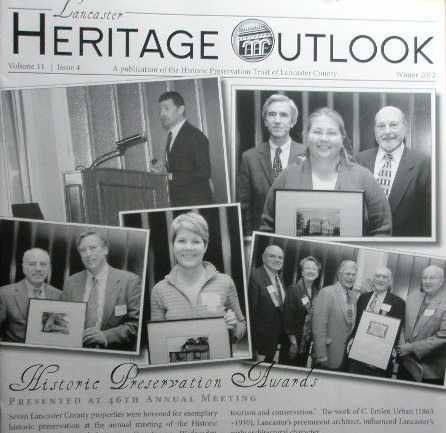 The Lancaster Heritage Outlook is our quarterly news update. Through this newsletter, we share preservation news not only with our members but Lancaster County at large. 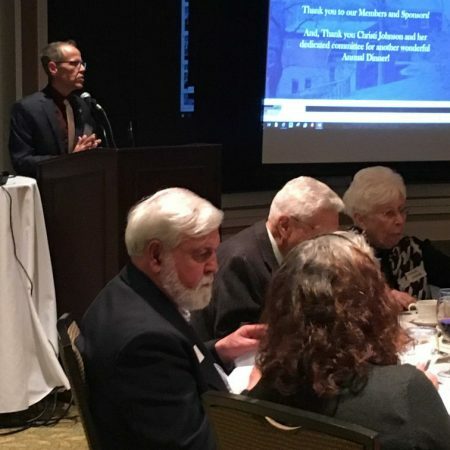 Speaking engagements allow us to provide presentations on historic preservation and current projects to local businesses, organizations and social groups. Contact the Preservation Trust for more information on the Preservation Trust Speakers Bureau. 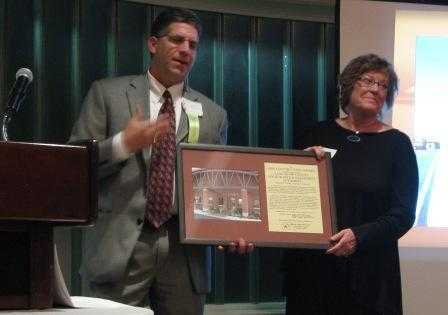 The C. Emlen Urban Preservation & Honor Awards recognize public and private efforts to preserve and adaptively re-use historic architecture. Awards are given in the areas of preservation, leadership, research, philanthropy, master craftsman, new construction and community revitalization. Architectural History Tours, offered every other year, open many unique and historic properties throughout the county to the general public. The tour showcases properties that have been preserved or are to be preserved. Special events, such as our popular summertime Gourmet Gala, are held at sites that show effective preservation effort or the potential for preservation. 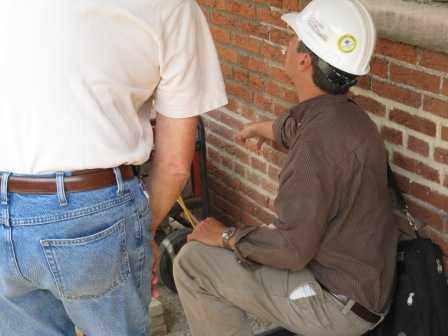 Among our many resources are professionals who share their knowledge on a broad range of topics including painting, carpentry, roofing, easements and taxes for historic properties. Grist and sawmill demonstrations are offered four times a year at the Bowmansville Roller Mill (1850) in Brecknock Township in northeast Lancaster County. This is one of only a few remaining water powered mills.